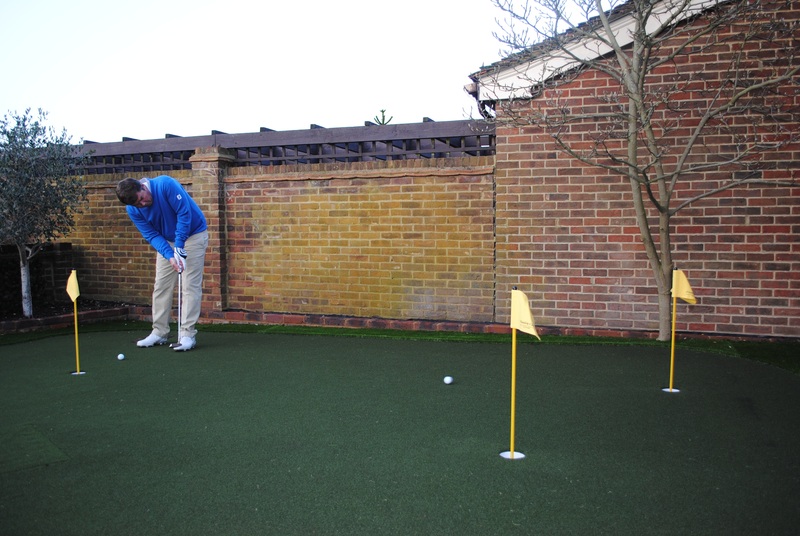 Sky Sports Golf presenter and exceptional coach, Simon Holmes, has taken his passion for the game to the next level with the conversion of his front garden into an all-weather golf practice area. Working with global leaders in all-weather golf surfaces Huxley Golf, Simon can now refine his skills, coach more effectively and enjoy quality time with his family. 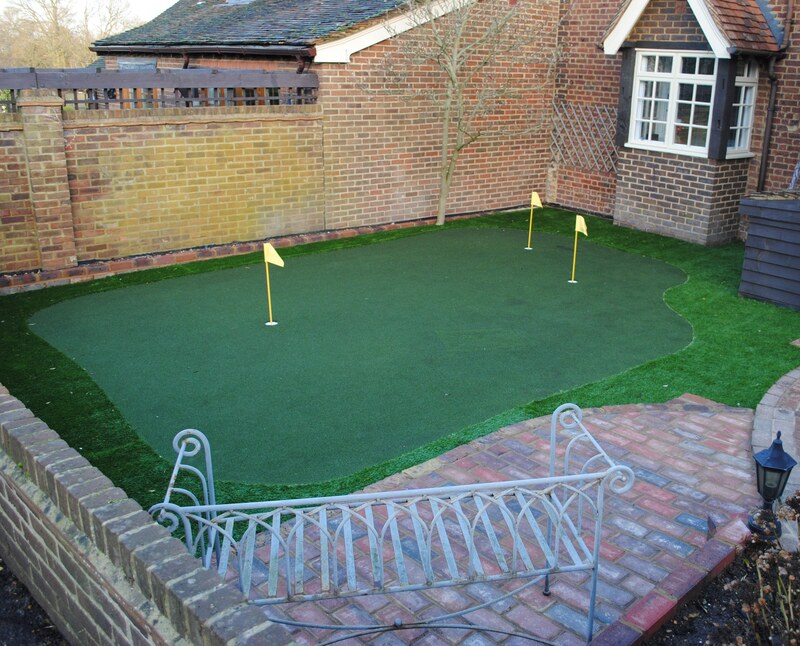 Thrilled with the result, Simon commented: “I have long recommended Huxley Golf greens to players that I have coached and I thought it was about time I had one of my own! I only wish I’d done it sooner! Simon Holmes has coached over 80 tournament professionals that have together won over 50 titles and 2 majors. 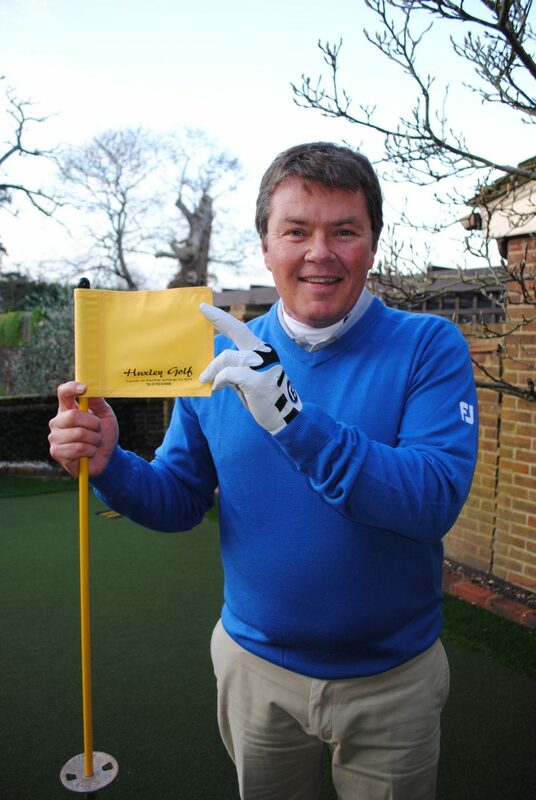 He is also a resident golf professional at The Wisley and has developed a proven golf tuition app. Huxley Golf has installed personal golf practice facilities for many legendary golfers and celebrities, including Masters Champion Danny Willett, Sir Nick Faldo MBE, Sir Clive Woodward and the British Ladies number one Catriona Matthew MBE. Huxley Golf also works with many top-flight courses and resorts as well as training and coaching establishments, ranges and academies globally. For more information call 01730 829608 or fill in our contact form.